Tardis Shadow Box There are 13 Reviews. 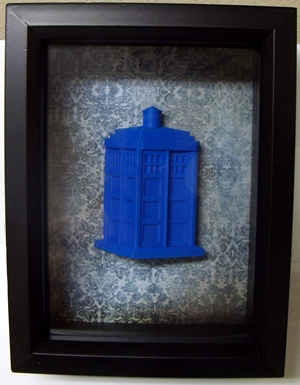 However, this Tardis is quantum time locked inside a shadow box. When I look at the background of the shadow box, it makes me think of Amelia Pond's old house.